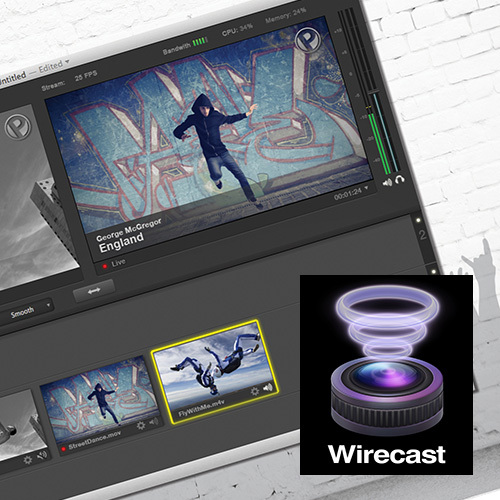 Telestream’s Wirecast® is the only cross-platform, all-in-one live streaming production software that enables capture, live production, and encoding of live streams for broadcast to multiple servers and platforms simultaneously. 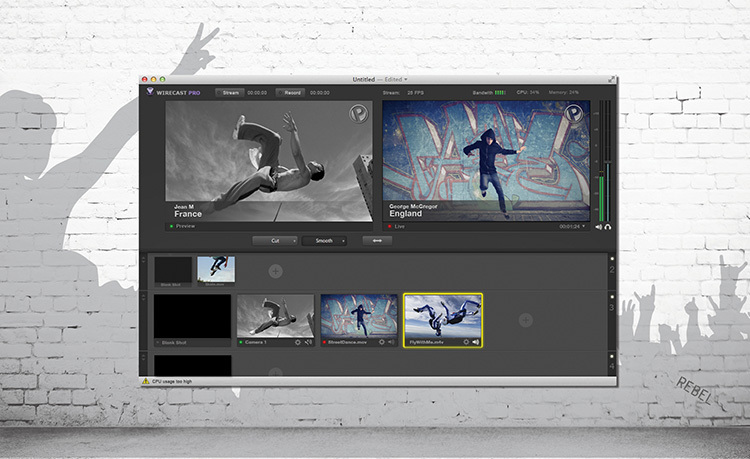 Wirecast supports an unlimited number of input sources ranging from web cameras (via USB, firewire), DV/HDV, SDI cameras (via capture cards), as well as IP and web-based sources and wireless devices. Wirecast supports a large number of capture cards and devices including many from Blackmagic Design, Matrox, Teradek and more. Simply connect your input sources to your computer and Wirecast will recognize them as live feeds. Wirecast video and audio output can be picked up as a source in other devices or software. Take your Wirecast feed out directly to Blackmagic Design Intensity or DeckLink capture cards.